We at RAFI are delighted, and not a bit surprised, that Reverend Richard Joyner has been named a CNN hero. (You can vote for him for “hero of the year” on their website here.) We became acquainted with him and his ambitious projects at the Conetoe Family Life Center about five years ago and knew immediately that he was someone that we wanted to stay connected with. Rev. Joyner grew up in the small community of Conetoe (pronounced kə-NEE-tə) in Eastern NC, the current population of which is about 300 people. He left the area as a young man and returned decades later to serve as a pastor for Conetoe Missionary Baptist Church. He found the community in dire straights in terms of health outcomes: Edgecombe county has the highest rate of diabetes in North Carolina and ranks 96 out of 100 for overall health outcomes. He saw the impact on his congregation and found himself presiding over far too many funerals each year that were often very likely the result of diet-related illnesses. On the other hand, he also found his hometown to be rich in the assets of arable land, supportive community members, and talented young people. Many young people in the community were also interested in working the land and learning about healthy eating. Rev. 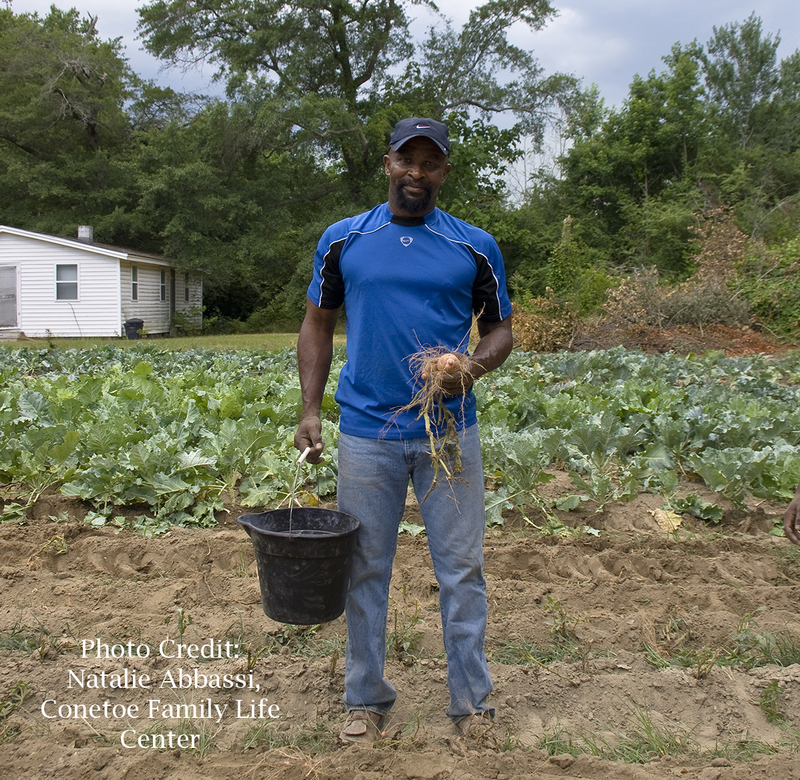 Joyner got to work organizing with members of his congregation and the broader community and, in 2007, the Conetoe Family Life Center was born. 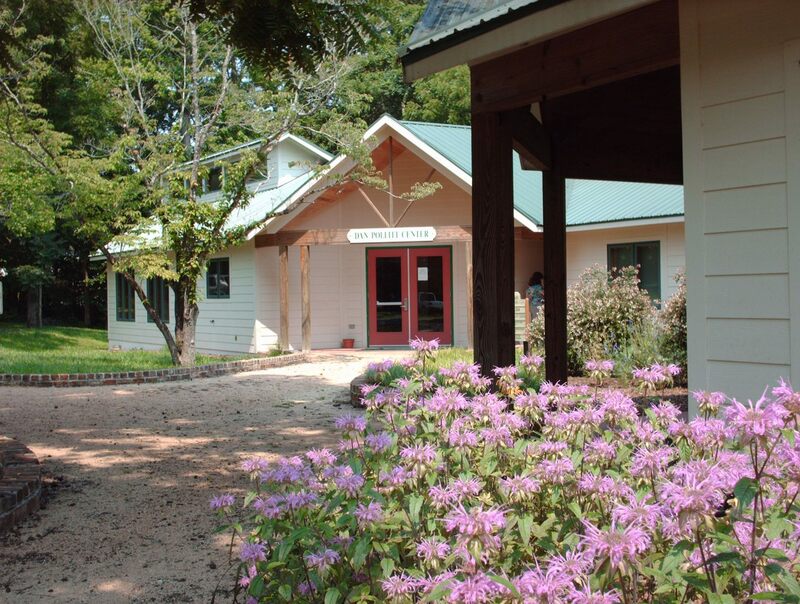 CFLC now manages more than 25 acres of land, runs a youth program which includes 60 young people, offers a CSA, has a youth-run beekeeping operation and honey business, and much more. A frequent speaker at our organization’s Come to the Table conferences and events, Rev. Joyner often shares his story with other organizations, faith groups, youth organizers. We have a great short video of Rev. Joyner and youth leader Tobias Hopkins discussing their community food work. Through the Conetoe Family Life Center, Rev. Joyner, Tobias and other youth and community members have grown to deeply understand and appreciate producing food locally as a vehicle for positive change. Rev. Richard Joyner & Tobias Hopkins, Conetoe Family Life Center from RAFI-USA on Vimeo. 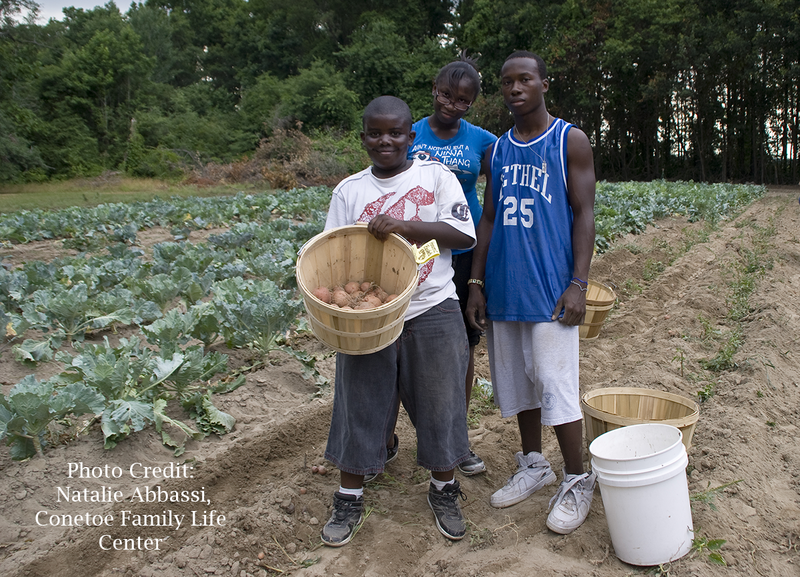 The Conetoe Family Life Center Farm received a grant from RAFI in 2014 through our Agricultural Reinvestment Fund. The grant was used to support the training of 40 youth in an agricultural entrepreneurship program. 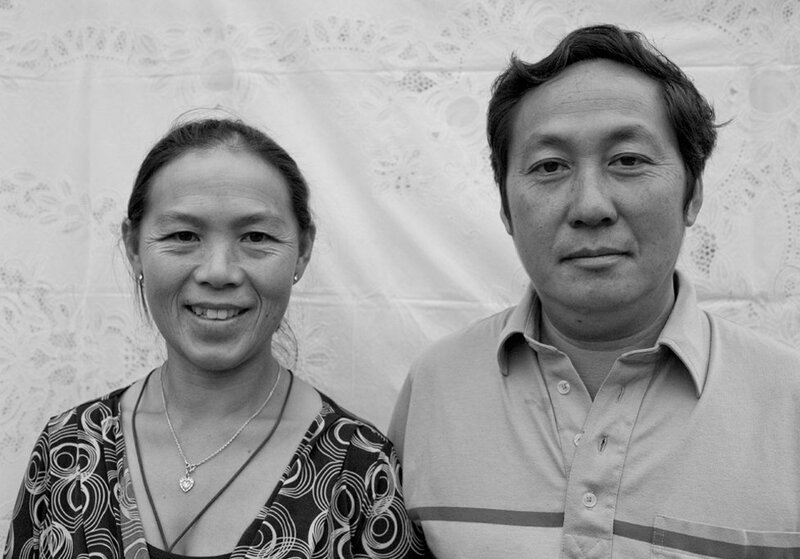 We are honored to be able to support their good work, and wish Rev. Joyner all the best in the CNN contest. Vote on CNN’s website here for this real-life hero today!